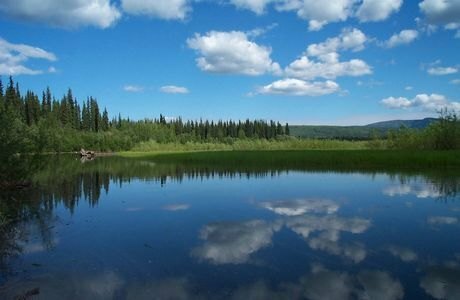 Located along the Canadian border in central Alaska, the preserve protects 115 miles of the 1,800-mile Yukon River and the entire Charley River basin. Numerous rustic cabins and historic sites are reminders of the importance of the Yukon River during the 1898 gold rush. Paleontological and archeological sites here add much to our knowledge of the environment thousands of years ago. Peregrine falcons nest in the high bluffs overlooking the river, while the rolling hills that make up the preserve are home to an abundant array of wildlife. The Charley, a 100-mile long wild river, is considered by many to be the most spectacular river in Alaska.